While vacuuming is literally and figuratively a chore, advancements continue to make it more effective and less annoying than ever before. Here are six vacuums that will trump your old one and will help alleviate some of your ongoing vacuuming frustration. No vacuum is inexpensive, but this one boasts an affordable price tag ($134.80) and is also a solid performer. Its design makes it a breeze to maneuver around furniture and into tight corners, so you won’t always have to rearrange everything you own each time you vacuum. The FloorRover Versatile also excels at picking up pet hair for those who own furry friends. With a 4 out of 5 stars on Amazon, people are loving this machine for its great suction, easy to empty dust cup and HEPA filters, and its pet and upholstery accessories. It weighs 16.75 pounds, works on various floor surfaces, and comes with a 30-foot cord. At the mid-range price ($247.49), you’ll find the V7 Motorhead is a top option if unplugging and plugging in cords is your biggest vacuuming pet peeve as this machine is battery powered. While it does need to charge for 3.5 hours to work for 30 minutes, it’s still a top choice with a 4.3 out of a 5-star rating on Amazon based on more than 700 reviews. This vacuum is versatile working as a stick or hand vacuum, has a hands-free bin collector, and has 75% more brush power than its V6 predecessor. The best part is it’s only a light 5.3 pounds. The best carpet to walk on is soft carpet that feels plush and cushions our toes. However, the cleaning challenge that comes with this carpet feels like an uphill battle. It’s just so much more difficult to remove dirt, debris, and dander. However, this top of the line ($949) option makes this challenge a bit easier. With bigger 360-degree swivel wheels, a five-stage adjustable height, and, most important, a suction setting designed for soft carpet, your home will be cleaner than ever. The SoftCarpet PowerLine offers seven-stage suction control to deep clean medium to deep pile carpet, has a Deluxe Comfort Grip handle, a detached motor, and integrated tools. This vacuum weighs in at 20 pounds, can clean any surface, and provides 99.99% dust retention. 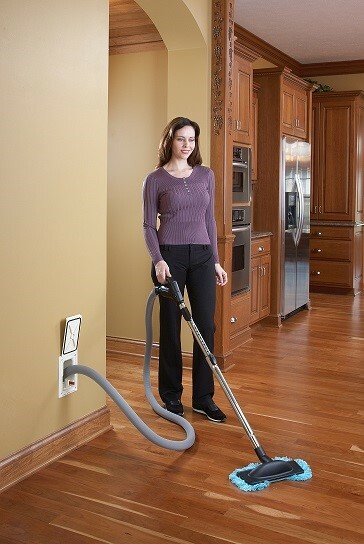 If you’re looking for a vacuum that has the best attachments, then this may be the one for you. It’s addons—crevice tool, bristle brush, and power roller—really up the power on this cleaning machine. The Elite Pet Friendly 31150 ($299.99) captures nearly ever particle on bare floors, according to Consumer Reports, and is one of the best at removing debris from carpet as well. As the name infers, it’s also great at trapping pet hair. Weighing in at 21 pounds, this vacuum isn’t the lightest on the list, but it sure is one of the toughest. This upright is bagged-equipped, has suction control, and a manual-wind 35-foot cord. No robotic vacuum can replace a traditional upright or canister machine, but this in home vacuum system is a great option for the busiest households who just want to set it and forget it. This particular bot is quiet enough that it can go unnoticed during its 86 minute session but is kind of fun to watch too as it sneaks into tight corners with its rectangular bumpers. You can even remotely control your POWERbot with your smartphone or via voice control with Amazon Alexa. Most importantly, it boasts 40% more cleaning power than it’s robotic competitors and with its cameras and sensors to clean any room while avoiding obstacles, it’s an appropriately priced $499.99. While it weighs 9.5 pounds, since you won’t be doing any lifting, it doesn’t really matter. And, it’ll even return to its docking station for a recharge when the task is complete. Each of the vacuums above boasts desirable features, but none of them check multiple boxes. The machines are either lightweight or have great attachments or are silent in comparison. If you choose an upright, canister, or robotic vacuum, you’ll never check every box on your list. However, there is a machine that can do it all. The in home vacuum system by Gary’s Vacuflo. If you’re not familiar with a central vacuum, it’s a vacuum system that suctions dirt and debris via a hose that then runs through dedicated pipes in your wall, and into a holding container that’s often located in a basement or garage. And, it can meet all your vacuuming wants and needs. It will remove 99% of dirt, debris, and dander; requires almost zero maintenance; doesn’t require heavy lifting or cord finagling, and even lasts for decades. If you want a vacuum that will leave your home cleaner than ever before and save you money in the long-term, Gary’s Vacuflo Central Vacuum System is your best solution. Selecting a vacuum is a tedious process. You want something that’s easily maneuverable, effectively cleans your space, and will last a long time. While the budget is certainly a considerable factor in this process, if you’re looking for an in home vacuuming system that fits all of these criteria, your best option is a central vacuum system. If, however, an upright, canister or robotic machine is more your style, the above are some of the best options on the market in 2018.